Kylie Stewart and Ty Stewart (no relation) each won three individual races to help the Georgia Bulldogs dominate the triangular at Georgia Tech. The Bulldogs were dominant, losing just 6 total events between the two genders en route to bruising team wins. 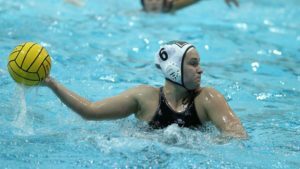 Kylie Stewart, one of the nation’s top freshmen and the current SEC Freshman of the Week, showed off her versatility in winning three events with none of them being in her best stroke, backstroke. Stewart took the 100 and 200 flys, plus the 200 IM at the end of the meet. She was 55.71 and 2:00.97 in the butterfly races, leading 1-2 charges for Georgia in both. Stewart also took the 200 IM in 2:02.76, powered by a 30.3 backstroke split that crushed the field by a full second. Georgia looked a little tired in terms of times, but still had plenty enough to win the meet. Of the remaining 11 individual events, Georgia won 9 of them with 9 different athletes and also swept both relays. Jordan Mattern was a part of two of those wins. With Stewart absent in the 200 back, the senior took over for the win, going 2:01.86. She also led off the winning 200 medley relay team, which went 1:44.81. Hali Flickinger was on that winning medley as well, swimming fly, and she also helped the 400 free relay go 3:29.58 to win. 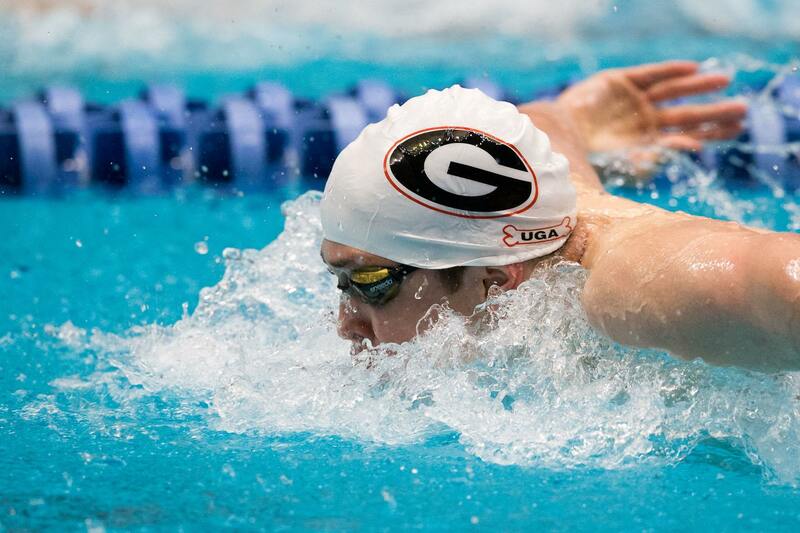 The only swimming race Georgia lost was the 100 breast, which went to Georgia Tech’s Efrat Rotsztjen in 1:04.81. The Yellow Jackets went 1-2 in that race. Georgia Tech also took the 1-meter diving event with junior Shannon Lumbra. On the men’s side, it was junior Ty Stewart who tripled up. His events were even more varied than Kylie’s – he won the 200 fly (1:50.35), 200 breast (2:03.58) and 200 IM (1:51.16) in nearly ruling all of the 200-yard events on the night. The only two he didn’t take were the 200 free and 200 back. The former went to freshman Gunnar Bentz and the latter to junior star Chase Kalisz, both of whom won twice individually. Bentz went 1:38.14 to win that 200 free. He’s best as an IMer and breaststroker, but right now, he’s the closest thing Georgia has to a big-time freestyler in the short distances, so races like the 200 free and 100 free may fall to him more and more. Bentz also won the 100 fly, going 48.83. Kalisz, meanwhile, took the 200 back in 1:47.41. That’s not an event we see Kalisz swim very often, but for a guy who absolutely rules the 400 IM on the college stage right now, it’s not surprising to see wins in the 200-yard distances of any stroke. Kalisz also won the 100 breast, going 55.03. Other winners for Georgia: Matias Koski in the 1000 free (9:14.43), Taylor Dale in the 100 back (48.97) and freshman Kevin Litherland in the 500 free (4:28.82). Dale also helped both Georgia relays win. The 200 medley went 1:29.93, while the 400 free relay was 2:59.47. Also on both winning relays was Michael Trice. Trice, a junior, is the team’s top sprint freestyler right now, but that’s been a real Achilles’ Heel for the Bulldogs thus far. They got stung again in the 50 and 100 free Friday night by the Yellow Jackets, who put their star swimmer Andrew Kosic into both. Kosic, a very solid sprinter on the national level, was 20.13 to win the 50 free over Trice. He came back to go 44.04 and win the 100 free by a full second over Koski, a distance man who’s been forced into shorter events this season to fill Georgia’s lineup hole. Georgia Tech also won both diving events with Brad Homza, who scored well over 300 on both. Did we forget that Koski is an elite 200 freestyler and not too shabby dropping down to the 100 and 50 as well? Bentz can become a beast on freestyle. He always has monster finishes in his IM races. I see him in the future as a very important piece of the US 4X200 free relay which seriously needs new faces. Like Conger, Rooney, Haas or Malone as well. Has there been any resolution to the Jack Bauerle situation. If not, this seems to be taking an awful long time. CT Swim Fan – still no resolution. Agree, there should be a resolution by now, unless there’s more to this that hasn’t been made public yet.